That sickening crunch or the screeching of your roller shutter door becoming jammed can bring a sinking feeling to your stomach. One minute you’re going about your business and making sure your roller shutter doors are coming down to lock up your store to keep everything safe and then the next minute it’s making these crunches that sound like the door is going to fall off its hinges. Hearing those ear-piercing noises can bring anxiety and stress upon you. 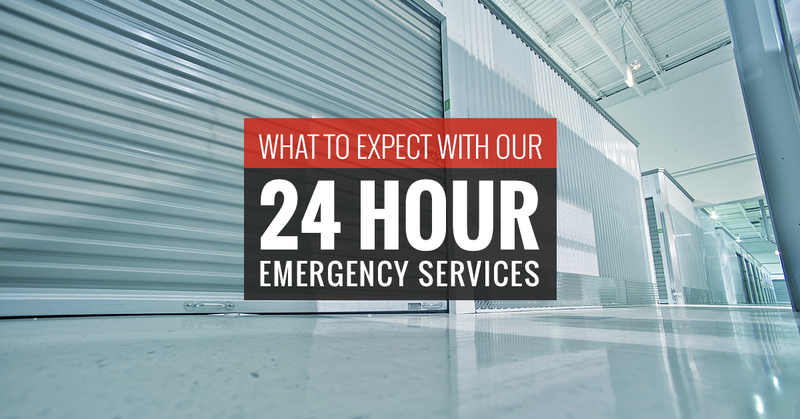 Thankfully, when you purchase your roller shutter door though United Steel Products, you can expect to have access to 24 hour emergency services. So, what exactly do these services entail? Let’s go over what you can expect and more with our emergency services. At United Steel Products, we have 24 hour emergency services as well as preventative maintenance. Our 24 hour emergency services are exactly what they sound like. When you have an issue with your roller shutter door or another product we offer, we’ll make sure to come right to you to fix the issue. Below are three things you can expect when you reach out to us for our 24 hour emergency services. The first thing you can expect with our emergency services is that we are available every day, seven days a week. This means when you have an issue with your roller shutter door or your grilles in the middle of the night or early in the morning, we’ll be able to come to you in a timely fashion. If your overhead door becomes damaged for whatever reason on the weekend, then when you call our phones you’ll be transferred to an auto-page voicemail system where our personnel is on call 24 hours a day seven days a week. You’ll never have to worry about having to close your store without the proper security. You’ll never have to worry about waiting hours on an expert technician because, in addition to someone picking up the phone, we have available dispatch that has access to over 20 company vehicles at any time of the week. The second thing you can expect with our 24 hour emergency services is that we’ll be on time. When we tell you we’ll be there in 30 minutes of an hour, then we’ll be there at the time we specifically said. Our fully staffed team of office and sales personnel are available at any time of the day to get to. Whether you are a commercial or industrial industry, we’ll handle coming to you in a timely fashion. Don’t worry about waiting around or a service truck not coming with the necessary equipment. Each truck is stocked with the proper tools that are needed to repair overhead doors. Lastly, we’ll repair your product. You might be thinking, “well, of course, you will.” However, we’ll make sure that we have the equipment to repair your product on hand. If a repair needs special equipment, then our mechanics will come back with the necessary tools that are needed to get the job done. Our technicians are experts in their field and will do everything possible to repair the problem. Don’t worry about going without security when you decide on United Steel Products.